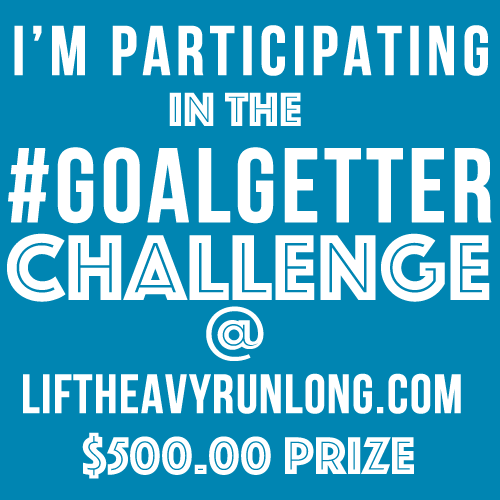 In case you are living under a rock and haven’t heard yet, we’re starting a challenge on May the 1st called the #goalgetter challenge. 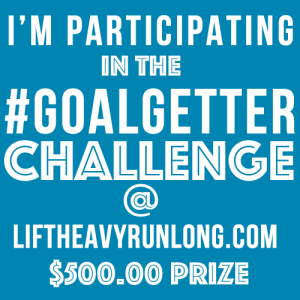 More info here, but basically it’s a six month challenge to help you reach a six month goal. At the time of this writing, we are 1 week, 5 days, 6 hours and 45 minutes away from the beginning of the challenge and I am stoked about it. The videos that have come in so far have been SUPER inspiring. If you have signed up to join in on the fun, you’ve been added to a super secret Facebook group where you’ll have the chance to see some of these awesome videos. Anyway, I’ve been getting mentally prepared for the challenge to start for the last week. I’m not like Beef, I like to procrastinate. I’m not really worried about what I need to do, I’m just concerned about making sure the environment around me is set up in such a way that I can easily be successful. That’s WAY harder than it sounds. You probably know what I’m talking about if you have a big family with kids and cereal boxes and pancakes and cheez-its and panchos cheese dip and pizza and pretzels and honey buns and….that’s enough I’m gonna stop there. It’s not ALL about food, but making sure you have healthy options around you so that you aren’t tempted to eat that crap is VERY necessary if you have any kind of fitness related goal. Whether you want to lose weight, do 10 pull ups, or run a 5K what you eat matters and if you eat crap you get crap. We all probably already know this, but take some time before the challenge starts to go shopping for some real, unprocessed food options to eat for the first week of the challenge so that you will be ready. Sleep is also REALLY important, and something that I struggle with big time. If at all possible you need to get 8 hours of sleep everyday. 3 days a week I need to wake up at 3:45AM to get to the gym for the 5AM class. That means I need to be in bed at 8:30 to still just get 7.5 hours of sleep. On those days I try to sneak in a 30 minute nap to make up the difference, but most times I don’t make it to bed at 8:30 and it’s usually around 9 or 9:30 before I get to bed. That’s gotta change. I’m also working on when I’m going to train over the next six months. In the past, it’s been at 7am on weekdays and I really like that time. However, since I train by myself it’s really easy to talk myself out of it and lately I’ve been guilty on too many occasions of putting it off and doing other things. At Barbell Shrugged we’ve come to call it DEAT (Drop Everything And Train). For the next 6 months there is no question what I will be doing at 7am. Even if I am on vacation, even if I’m busy, even if I’m feeling tired or lazy, I’ll be training. So, anyway, I hope you are spending some time thinking about how you are going to crush this challenge starting on May the 1st. If you need help, PLEASE reach out to me and let me know. I’d love to help you out and give you advice on what you need to do over the 6 month period to help you get where you want to be. We’re also going to be giving you some weekly challenges that will help you too and I’m really looking forward to that. If you aren’t signed up for the challenge, you better get to it. Here’s the link again, talk to you soon.